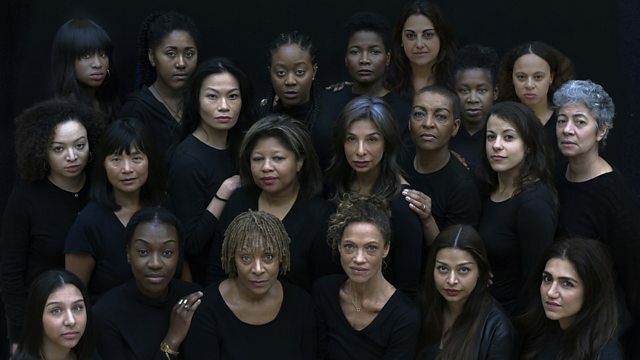 Adjoa Andoh co-director of Richard II, which features a cast and crew who are all women of colour. Shared parental leave. Author Ayelet Gundar-Goshen. A production of Richard II has just opened at the Sam Wanamaker Playhouse in London. All the cast and crew are women of colour. It's co-directed by Adjoa Andoh, who also takes on the role of Richard II. She discusses the significance of this version of the play, a story of a troubled King beset by problems at home and abroad. The psychologist and author Ayelet Gundar-Goshen talks about her latest novel, Liar, and explores, through the character of Nofar, an average teenage girl working in an ice cream parlor during the summer holidays, the consequences of not telling the truth. Dr Holly Birkett, Lecturer at Birmingham Business Schoo, on the University's Equal Parenting Project. It's some of the most extensive research yet into the take up of Shared Parental Leave, and looks at why more eligible parents don’t use it. Today and tomorrow, Women of the World Festival London takes place at Southbank Centre. What does the future hold for women in Leadership? We hear from Jude Kelly, the founder and director of WOW, and former politician Julia Gillard, the former Prime Minister of Australia and the only female to have held the post, who is now Chair of the Global Institute of Women’s Leadership at King’s College in London.